Aileen Miracle is hosting a link up on her blog to share our favorite Pinterest pins from the month of Oct. Check out all my great finds below and then hop on over to her blog and see more great ideas! 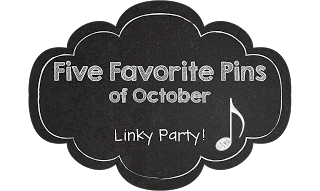 I would invite any other music teachers to write a blog post with your favorite Pins of October and link up to Aileen's blog, that way we can share even more ideas! Here are my favorite pins. Just click on the picture to see the pin. 1) This is an AMAZING list of blogs and online resources for the music room. So many great ones that I already follow, plus some new ones for me to check out! Seriously, I cannot express how awesome this is. I just wish I had more time to go through it all! 2) The Remote Controlled Singer comes from Jeremy at the Kentucky Kodaly Classroom. 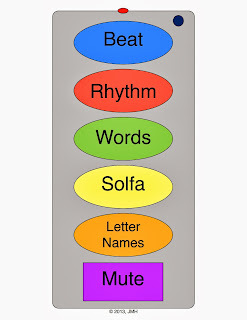 He says "At the tap of each button, students perform the song various ways: singing text, rhythm syllables (speaking or clapping), solfa syllables, absolute pitch names, clapping the beat. There is also a 'mute' button to concentrate on inner hearing." How fun! 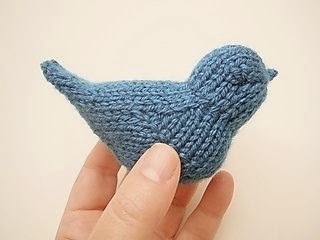 3) Knitted Blue Bird - I need to find someone who knits to make this blue bird for me. It would be so fun to use for vocal exploration and with the songs "Blue Bird"
4) Dem Dancing Bones - a fun way to get your little ones moving and grooving in October! 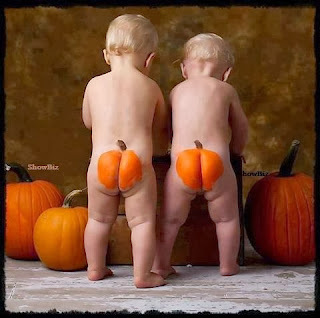 5) Not music related, but I am sure it will make you smile! If you missed out on Teachers Pay Teachers' flash facebook promo sale, it's ok! My store is still 20% off through today! Fall Pin It to Win It Giveaway Announced!